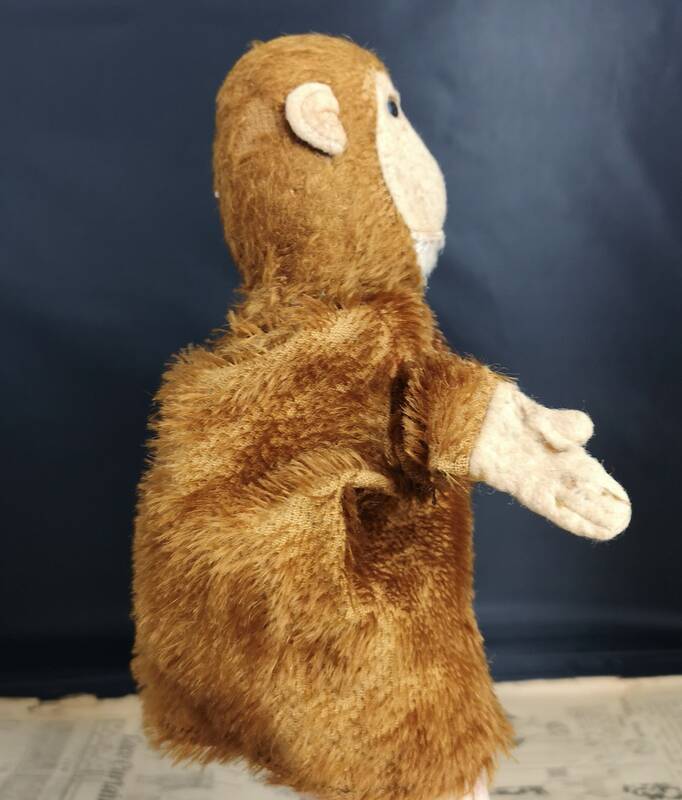 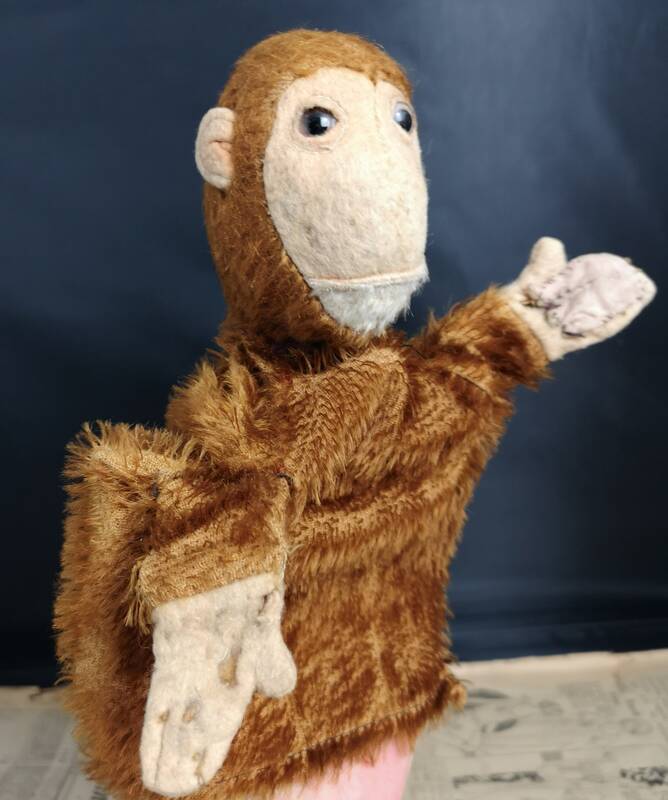 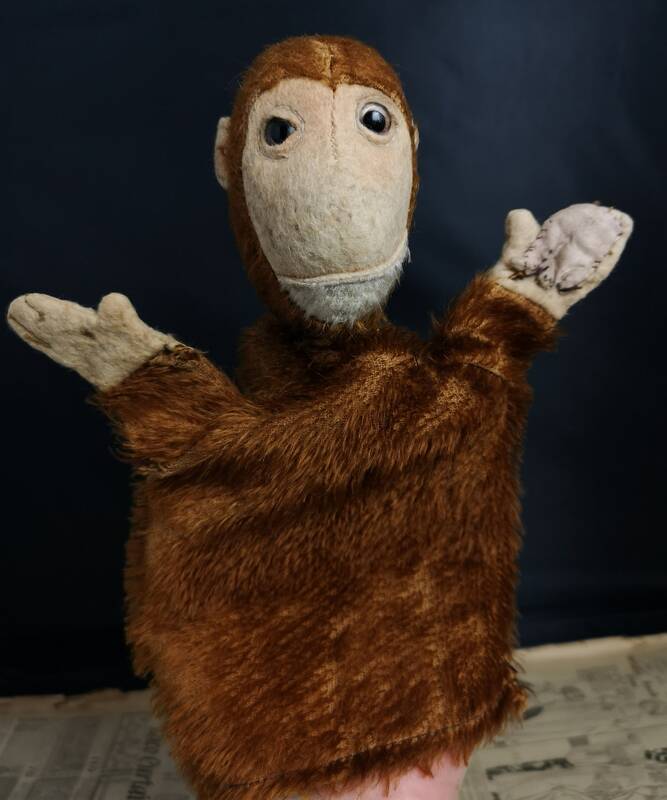 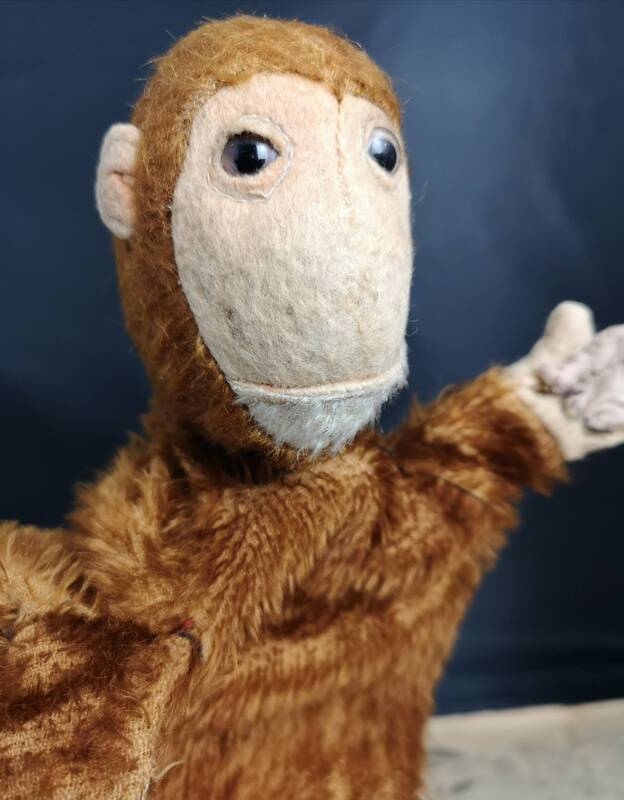 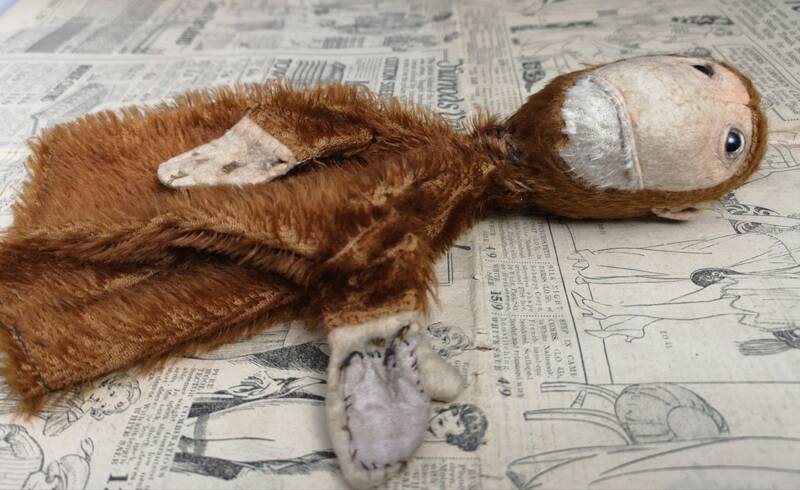 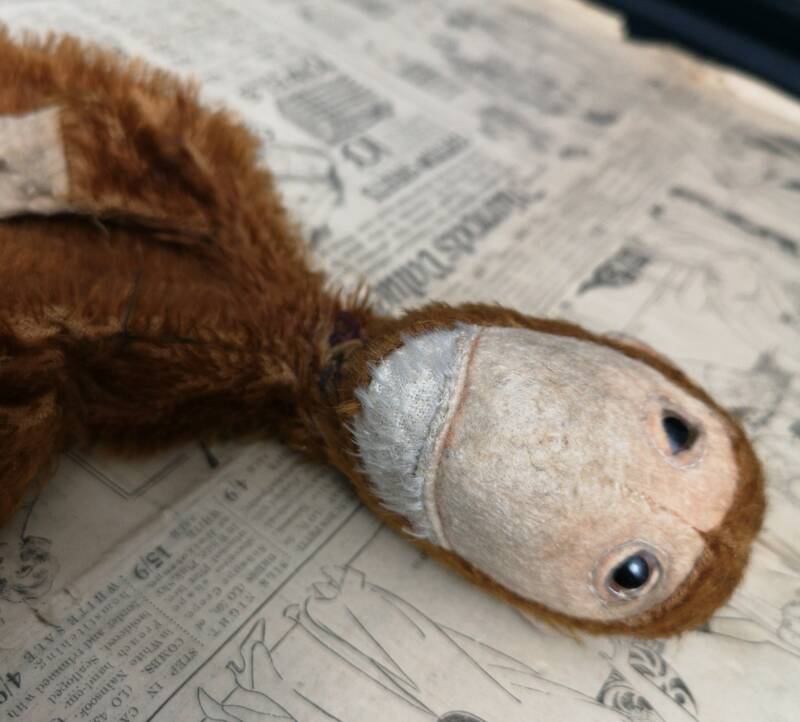 A late 1910's early Steiff Jocko the Chimpanzee hand puppet. 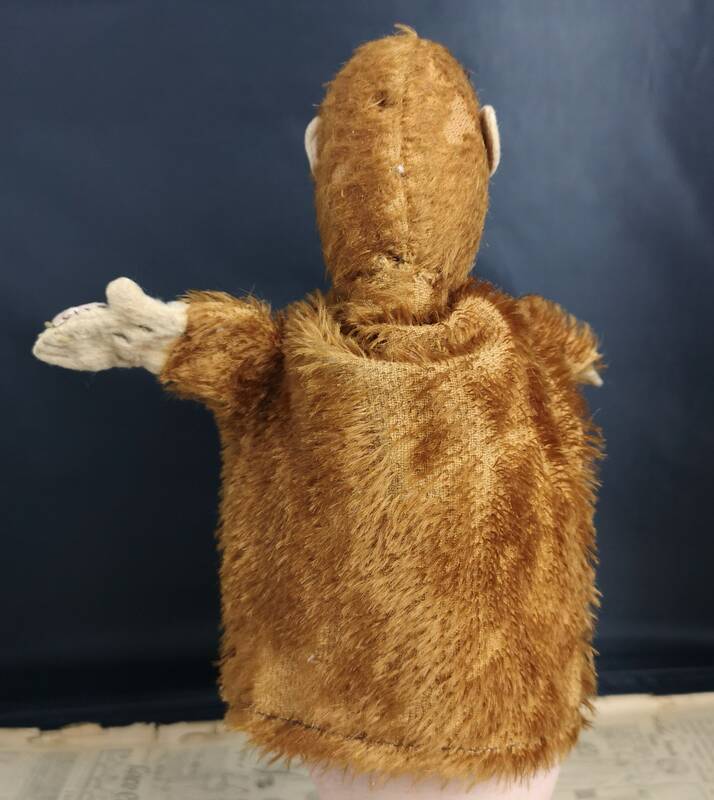 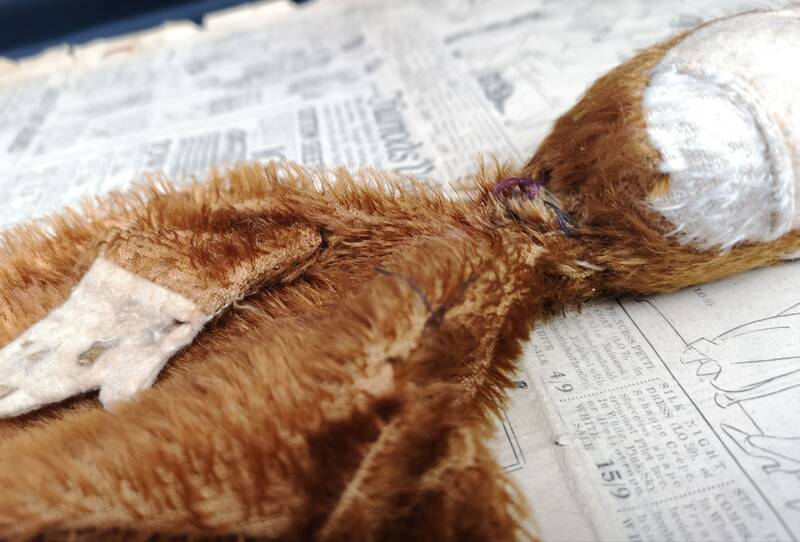 Reddish brown mohair with felt and glass eyes. 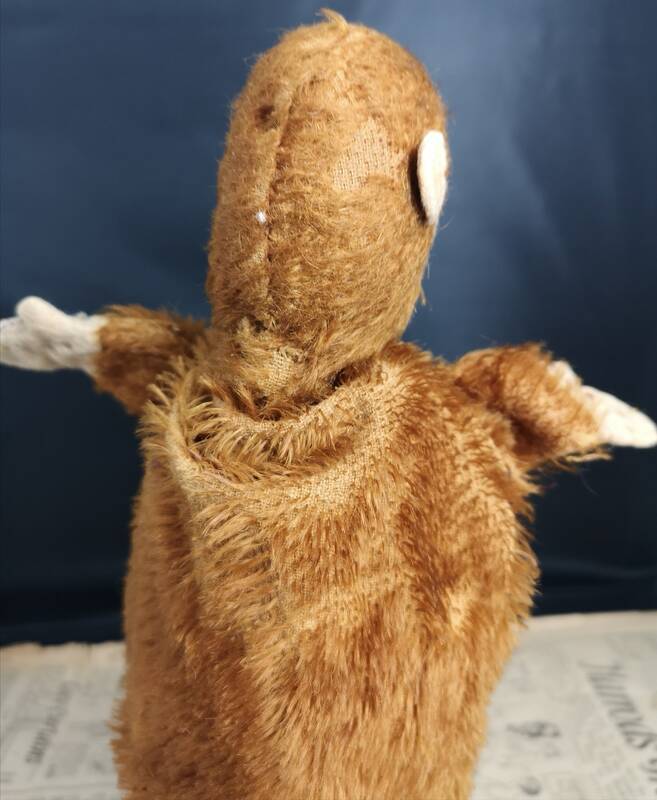 No tag, lots of sewn up areas on this chap he has definitely been well loved, some light patches off thinning hair.